NICE! 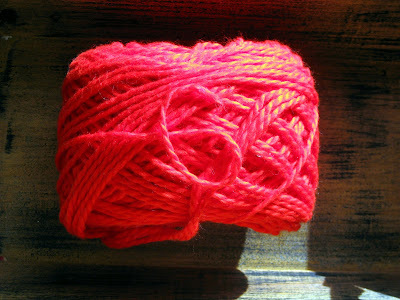 And for the record, I love that bright red. Today, I love anything bright because the sun is shining (hurray!) and the sky is BRIGHT blue! Well, I love that color! 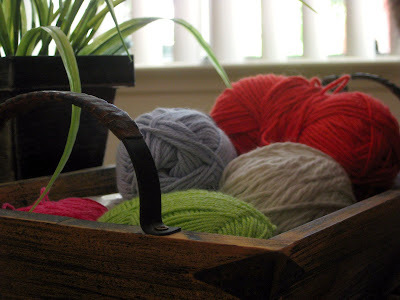 I even love the basket of yarn in various colors! I love it all! Yes, you are so talented! Someday I will try this myself. Problem with me is that I can't sit still long enough:) Have a blessed weekend my friend! HUGS! I love the dishcloth! The edging is lovely. Sometimes a simple project can be so satisfying! You are a good girl for using up what you already have. I NEED to do that with all my Paper and embellishments. I think I have a small "store" in my basement! 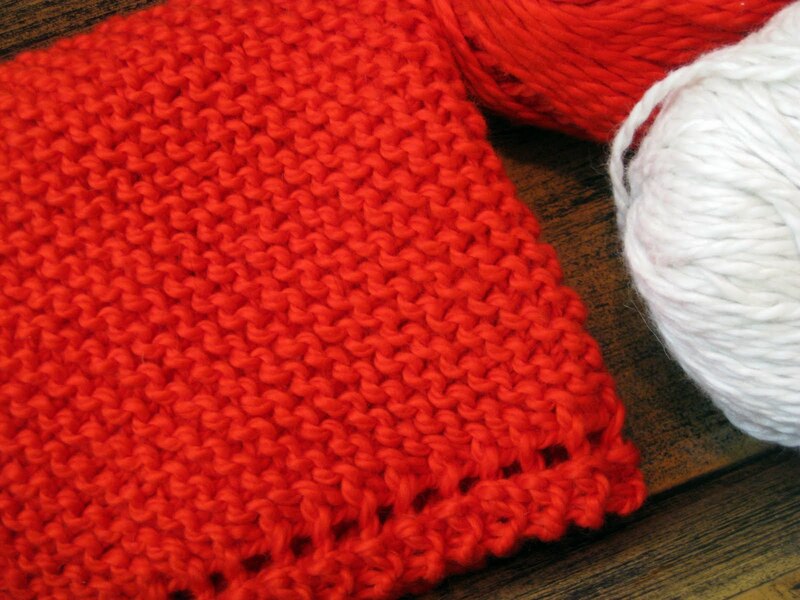 The potholder is a great color. These colors are WONDERFUL! We tend to fall into color pits and use the same ones over and over. I like that you are challanging yourself. And I LOVE that knit stitch! Super work! This is a fabulous idea! I love that you are challenging yourself. I tend to do my best work when I set little goals or challenges that make me step out of my comfort zone. Go you! I love the challenge - and the result! You are an amazing lady. Love the washcloth with the sweet floral print under it. 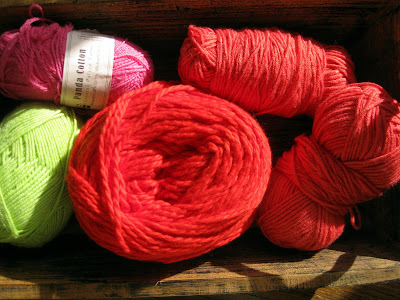 Red is not my favorite color but I am slowly using it more in my crafting. Enjoy this beautiful CA sunny day. I LOVE that color! Love it!! It's just so bright and cheery! What a fun challenge. And those washcloths are beautiful! 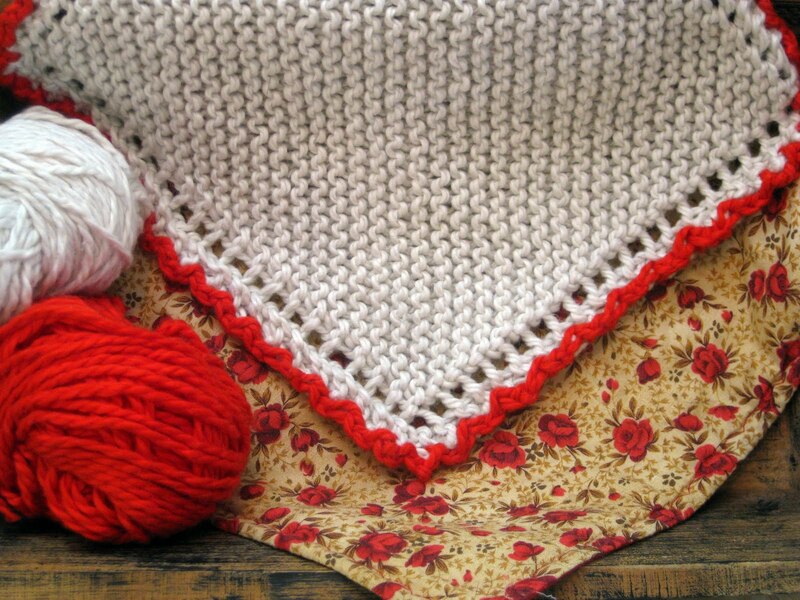 I love the one with the crocheted edge! Great challenge! I should try that. The dish cloths turned out wonderful. I love the cheery red. Good challenge...me, I love red but that green one...not my favorite. But I love your dishcloths and glad it brought back your knitting 'happy'. I love the white one with the red trim!